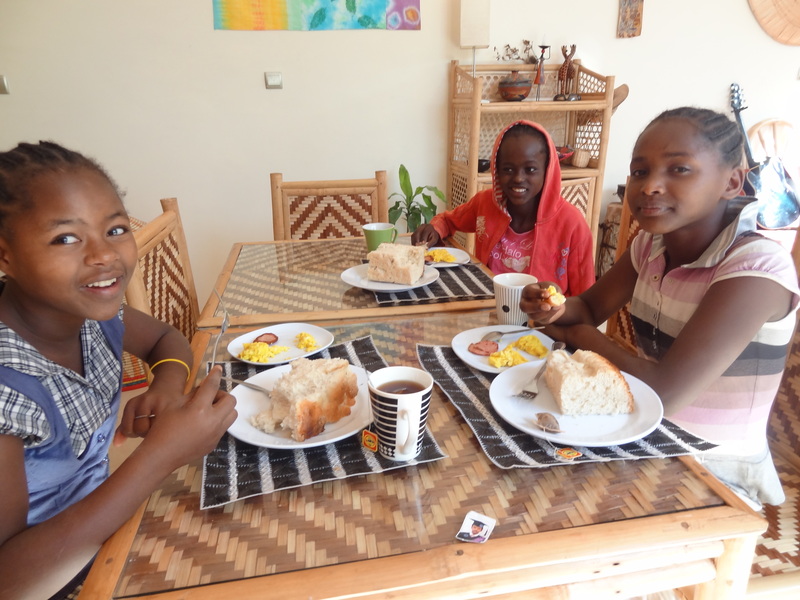 Here our girls are eating with Sabla, the daughter of another family that we are helping survive the extreme poverty of Southern Ethiopia. The girls appreciate the support they are receiving but still struggle with treating each other kindly. If we hadn’t had the support of all our Amharic-speaking friends whom we have made over the past year to mediate arguments, we couldn’t have made it through the 3 months it took to finally open Bethel Girls Home. They will be the oldest girls in the house and will naturally lead the younger girls. Over those months we hope they have developed some of the necessary character and commitment to succeed as leaders and role-models of the younger girls who will be adopted into the house. Praise God for your servant hood. Training up leaders for the kingdom of God. God bless you at your ministry. Thanks, love and miss you.